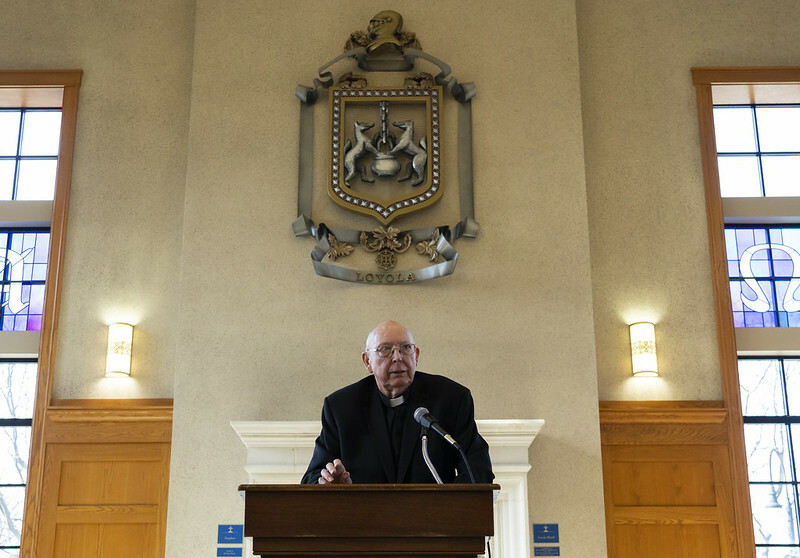 We had the pleasure of hosting 2019 Kelley Medal recipient Monsignor Martin Feild ’51 along with many former recipients and their spouses during our annual Kelley Medal Breakfast in Knott Hall on Thursday, March 14. 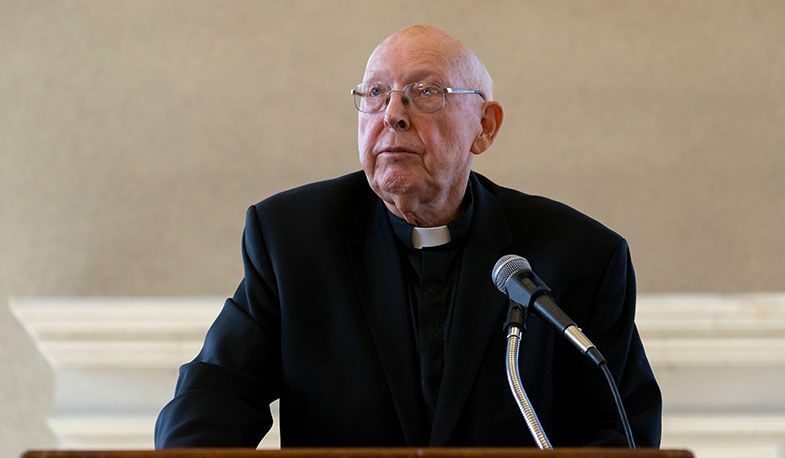 Learn more about Msgr. Feild here, and view photos from the event and his remarks below.